at Gallery 80808 – 808 Lady St. in the Vista. 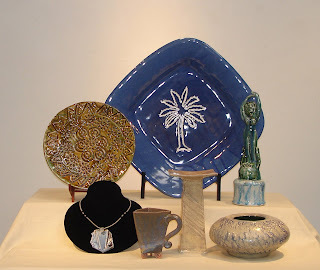 Pottery, jewelry, sculpture, and more! Hours: Thurs., 12/4, 1-7 p.m., Fri. 12/5, 12-9 p.m., Sat., 12/6, 10 a.m. – 5. Please join us for our reception on Friday, 12/5, 5-9 p.m.
A raffle to benefit E. E. Taylor Elementary School will take place Saturday at 4:30. For more information call 252-6134. 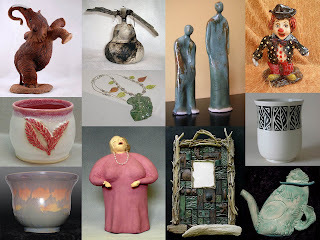 For more information about the Midlands Clay Arts Society, click here to visit their website. For more information about Gallery 80808/Vista Studios, click here to visit the gallery’s website.